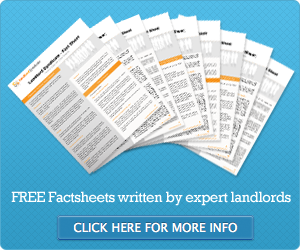 This article was first published on the Total Landlord Insurance website. The value of gross lending in bridging finance has risen by 53 per cent since the start of 2010, largely due to landlords looking to expand their property portfolios. According to figures from West One Loans, the volume of bridging lending – which provides short-term loans for capital investments, such as buying new property – increased by 26 per cent year-on-year as of the end of August. The company said this was due to a rising number of people looking to invest in the thriving buy-to-let market, or existing landlords looking to expand their portfolios. It noted that rising rental yields, driven by a surge tenant demand as a result of stagnation in the housing market, had increased interest in buy-to-let. Duncan Kreeger, chairman of West One Loans, said: “The buy-to-let market is extremely strong at the moment, with rents rising rapidly as tenants compete for homes. “To meet this demand, landlords often need to refurbish or convert properties for the rental market, but do not qualify for buy-to-let finance until there is a full rental valuation. Bridging enables them to finance this development period. Those who do turn to bridging loans to fund buy-to-let portfolio growth need to ensure they have adequate landlord housing insurance on their existing properties. As bridging loans are secured against real estate, it is vital to make sure you are protected financially should significant damage occur to your property. So far in 2011, 82 per cent of bridging loans by volume have been made to residential property investors, said West One, while the average size of a loan expanded to £322,000 in August, up 28 per cent year-on-year.